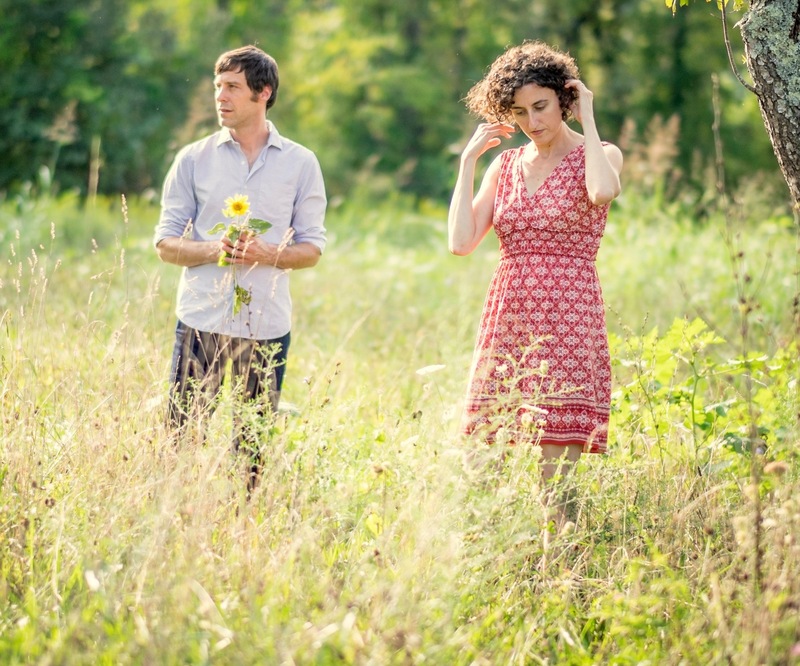 Zoe & Cloyd is a duo made up of renowned fiddler and vocalist Natalya Zoe Weinstein and award-winning songwriter, multi-instrumentalist and vocalist John Cloyd Miller, who hail from opposite ends of the Appalachian mountains. Their show is as diverse as their upbringing: coming from a lineage of klezmer and jazz musicians, Natalya trained classically in her home state of Massachusetts before moving south in 2004. John is a twelfth generation North Carolinian and grandson of pioneering bluegrass fiddler Jim Shumate. A talented singer, guitarist and banjo player, John is also a fine songwriter, winner of the prestigious Chris Austin Songwriting Contest and an Artist Fellowship recipient for songwriting from the North Carolina Arts Council. As founding members of the acclaimed Americana trio Red June, and long-time fixtures on the lively Asheville music scene, the couple shifted focus in 2015 with their duo project Zoe & Cloyd. Zoe & Cloyd’s recordings to date have met with high praise, with their debut Equinox named one of the Outstanding Duo Albums of 2015 by No Depression magazine. The duo’s eagerly anticipated third studio album will be released on Organic Records in autumn 2019. They they continue to gain momentum with performances of their engaging brand of “New Appalachian Music” at venues and festivals across the USA. Zoe & Cloyd delight audiences of all ages with their soaring harmonies, outstanding musicianship and heartfelt songwriting, seamlessly combining original folk, acoustic country, old-time and bluegrass. We met Zoe & Cloyd when they were showcasing at the International Bluegrass Music Association event in North Carolina last year and we’re very excited to be bringing them over for their debut UK tour!